The tobacco and banking multi-billionaire was instrumental in persuading organisers to include the card game, slightly incongruously, in the regional Olympics for the first time. 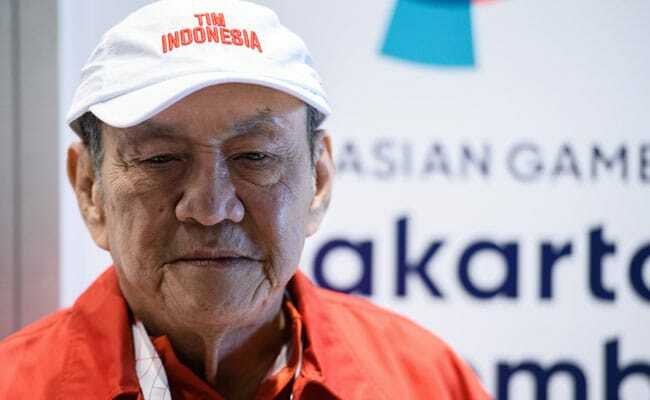 Michael Bambang Hartono is Indonesia's oldest competitor at the Asian Games. As one of Indonesia's two richest men, Michael Bambang Hartono wants for little -- and especially now that he has an Asian Games medal in his favourite pastime, bridge. At the Jakarta bridge venue, the 78-year-old tycoon is comfortably equipped, as befits his status as one of the vast Southeast Asian country's most powerful men. Hartono has his own guarded VIP area where he can receive guests and conduct interviews, with its own meeting room, a flat-screen TK and a bed where he can take a nap. "We are equal. So no privilege at all," he said. Special treatment or not, Hartono, who is also Indonesia's oldest competitor at the Games, is now the proud owner of an Asian Games bronze medal in the supermixed team event. Along with his brother Robert, Hartono has been named Indonesia's richest man by Forbes magazine which also ranked him the 75th wealthiest in the world. Hartono has amassed an estimated net worth of about $11.8 billion from tobacco, banking and communications -- using, he says, similar skills to those he employs for bridge. "Bridge is like business. First you get the data, the information. You analyse the information, and then you make a decision. So business, real life and bridge are the same. Decision-making is the same," he said. "If you want to be a good leader, and you want to be a successful man, business man, play bridge. Never quit, never give up," he added. Hartono has been playing bridge since he was six and he loves the challenge the game has to offer, but he says it's not his top priority. "Number one priority is of course family. Number two is business. And if I have time I play bridge as a hobby. And also another hobby is music," said Hartono, who also enjoys tai chi. Hartono isn't the only Indonesian business figure involved in the Games -- Erick Thohir, the media tycoon who is president of Inter Milan, is head of the organising committee. He's also not the oldest at the Games: in a bridge competition studded with senior citizens, Kong Te Yang of the Philippines takes that honour at the age of 85. Walking slowly with a tetrapod support to the competition table, 'KT' says he's still fascinated by bridge, which he's been playing since his twenties. "You must be coordinated, you must be careful, there are things you don't expect. You must know what's possible, yet sometimes impossible become possible," he said. "When you grow old, you still know what needs to be done, but the reflex sometimes doesn't allow you to do. You cannot react as fast," he confided.